Recently via Twitter I was introduced to Vivid Wrap Ltd., located in Bath, England. The company's decorative papers are gorgeous, and yes, printed in such bright and beautiful colors, the name is an apt description. 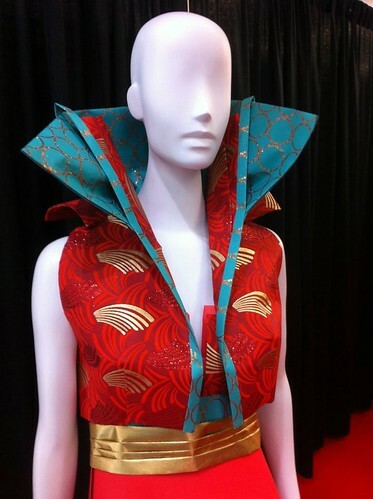 While checking out the Vivid Wrap Facebook page, I was delighted to come across photos of paper fashions created by professors and students from the LIM College of Fashion and Visual Merchandising in New York. 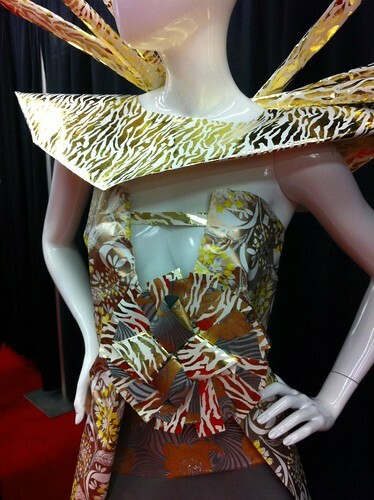 They used Vivid Wrap to create couture apparel for the first Paper Runway competition sponsored by Kate's Paperie at the National Stationery Show this past May. Vivid's papers are handmade in India from recycled cotton that is screen printed, also by hand, with water-based inks. After many years of working for Hallmark, Steve Williams launched Vivid Wrap in 2007. Gift wrap, bags, and boxes are stocked in fine British stores and museum shops, and the company is expanding to outlets in the U.S., Europe, Australia, and Asia. In the video [edit: no longer available] you'll see Vivid papers being created... it's a fascinating process to watch, and as an avid piano jazz fan, I have to say I sat back and enjoyed the music too. A nice little break at this busy time of year. I loooooooove the second one! It's uber cool! I love beautiful papers. These are wonderful! So brilliant the colours are! I buy handmade paper if only to admire them.So nice to know how it is made. It is a joy working with them they are so much more flexible and durable than ordinary paper. Great colors and imaginative designs! beautiful paper creations have you made ​​me love your work! some very interesting designs there. Hard work with remarkable results.With such designs and colours ,the inspiration comes quicklier,I guess. Awesome beautiful papers and designs!!!! 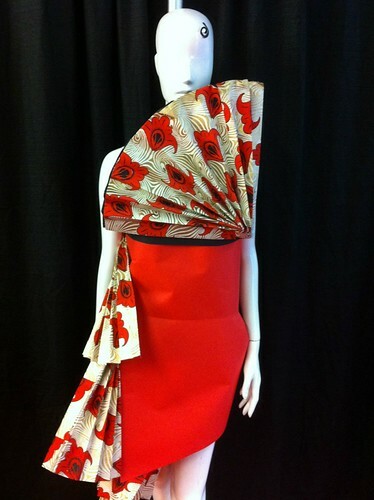 What lovely printed papers and fashions!! Vivid Wrap...a great name too.